A video interview with Dr Donald Seldin is appended below. Seldin was the most important figure in academic medicine in the second half of the 20th century. 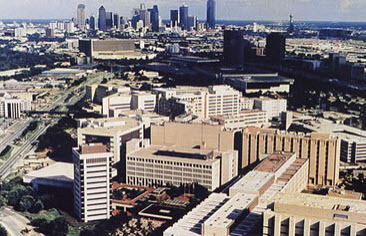 While a first rate scientist, his impact came from the thousands of trainees he produced and from his role in the development of Southwestern Medical School in Dallas from a barely viable school on the outskirts of American medical education to one of the world’s premiere research and teaching institutions. His legions of students have done everything from winning the Nobel Prize to being the best practitioners in their cities and towns throughout the world. He was chairman of the school’s department of internal medicine for more than 35 years. Soon to be 92 years old, Dr Seldin is still vigorous and still ready to offer incisive comments on just about anything inside or outside medicine. Like so many other physicians, meeting Dr Seldin and getting to work under him was the decisive event in my career. Whatever mean success I may have had, none of it would have happened had I not met him. Our first encounter was in May of 1964 when I was a resident physician at William Beaumont General Hospital in El Paso. Dr Seldin would fly in once a month give a few conferences, eat lunch in Juarez, and then fly back to Dallas. I was warned to be careful around him because he didn’t suffer fools under any circumstances and that by comparison between him and the rest of humanity, humanity was composed exclusively of fools. What I discovered in him was a hyperactive polymath who had an opinion, almost always grounded on superior knowledge, on just about any subject that had at least a hint of intellectual interest about it. Whatever the topic, he seemed to have an hour lecture about it in his head that he was ready to disgorge in a millisecond. While the rest of us spoke in sentences, he seemed to speak in paragraphs. You had to go back to Samuel Johnson to find a comparable conversationalist. Unfortunately, Seldin did not have a Boswell. I was also warned not to make casual comments around him. For example if you remarked that it was nice day he would demand a full meteorological report. The least he would accept was the current temperature, the expected high and low temperatures, the humidity, the barometric pressure, the wind speed and direction, the dew point, the heat index, the moon phase, and the monthly rainfall. After a few visits I always had a card handy with the complete report from the National Weather Service ready for his next appearance. I soon learned that he knew more about anything than I did except for opera. And even here he would not have conceded the point, then or now. He was up to speed on three Mozart operas (Figaro, Don Giovanni, and The Magic Flute, didn’t care for Wagner, and only liked three Verdi operas – Rigoletto, Otello, and Falstaff. His taste appeared too fastidious for the rest the Italian master’s oeuvre. The truth was that he didn’t really know much about Verdi’s other operas. Over the years he’s broadened his Italian horizon a bit and would probably allow that Ballo is a great opera. Traviata is still too much of a stretch for him. Puccini is beyond the pale. A few years ago I said that the audience (over the long haul) is the only critic that counts. He replied, “Oh yeah, what about Puccini?” “A genius,” I said and walked away before he could respond. By then I had learned that a riposte followed by an exit drove him nuts. “Who’s the chief?” I asked without meaning to be provocative. Without missing a beat he punched me in the stomach and said, “I am.” This was 47 years ago when physical abuse of medical trainees was a standard part of the curriculum as opposed to today’s norm when a stern glance can produce an injunction and mandatory anger management. “I thought you were the chairman of the department,” I said sincerely. We presented cases for Dr Seldin’s discussion that covered all the bases in internal medicine and I didn’t realize that he was a nephrologist. He appeared to have mastered all of medicine so encyclopedic was his knowledge of everything that can go wrong both with patients and those charged with their care. “I am the chairman. I’m also the chief of nephrology. “Is the program any good?” I asked with even more sincerity. The general anxious to get Seldin off the line assented. Seldin said, “Two years,” referring to the duration of a renal fellowship at Southwestern Medical School in Dallas and the thing was done. I assumed at first that Dr Seldin had been taken with my intelligence, charm, good looks or some combination of the three. It took me a remarkably long time to realize that my magnetic appeal was solely due to my cost to his program – nothing. The Army would pay all the freight of my fellowship in Dallas. I was a free body costing him what he appeared to think I was worth. When I got to Dallas I was one of about 14 fellows in nephrology all of whom went on to become the leaders of American nephrology. A few years ago four consecutive presidents of the National Kidney Foundation and half the board of the American Society of Nephrology had been trained by Dr Seldin. There were also a number of foreign fellows who achieved great distinction in their countries after finishing in Dallas. The day to day operation of the program was run by Floyd Rector who after graduating from Texas Tech in 1950 went to medical school at Southwestern where he was recruited to the faculty by Dr Seldin when he (Floyd) was a sophomore. After a residency in Dallas Floyd took a fellowship at the NIH and then returned to Dallas where his research on acid-base metabolism and proximal tubular transport vaulted him to the pinnacle of international renal physiology. He was the best renal physiologist I ever encountered. 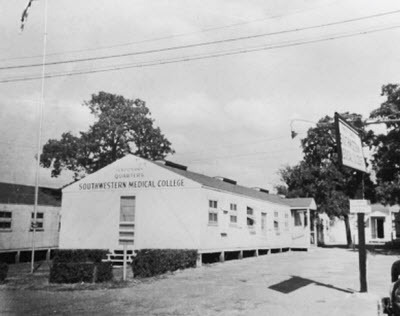 This pattern of recruiting brilliant students, sending them away to the best programs, and having them return to the faculty at Southwestern is the reason that the school in general and the department of internal medicine in particular became world renowned for its research and teaching. None of this renown would have accrued to Dallas without Dr Seldin’s inspirational leadership. Sometimes it takes a kick in the rear to get you moving forward. Dr Seldin was willing to provide whatever stimulus necessary to ensure progress. The better you were the harder the kick was likely to be. The day I arrived in Dallas Floyd asked if I wanted to be a clinical or research fellow. I hadn’t realized there was a difference. So for no particular reason other than impulse I said research. I spent the next two years in the laboratory doing micropuncture experiments. I also went to all the clinical conferences especially the ones given by Dr Seldin. These were bravura performances that displayed Dr Seldin’s mastery of all things medical, his sense of drama and timing, and his control of language. You came away from them realizing that you’d have to elevate your game by several orders of magnitude if you were to have any chance in the competitive world of academic medicine. Every fellow irrespective of discipline had to make a Saturday morning presentation on any subject of his choosing to the entire department of medicine. The usual scenario at these exercises was for Dr Seldin to seem to sleep through the presentation. At its conclusion he would spring to the front of the room, dissect the talk, and then give it the way it really should have been delivered. When my turn came I was determined to keep him asleep. I picked the most arcane subject I could think of. An hour’s explanation of the auscultation of the second heart sound. Physical diagnosis was not precise enough to fully engage Dr Seldin’s interest in systematic analysis. When I finished I was rewarded with stupefied silence. This was the last time Dr Seldin did not try to get the last word; never again would he allow a repeat of anything resembling my second heart sound subterfuge. When I neared the end of my fellowship, he asked me what I intended to do next. I said I would probably go to Walter Reed Hospital. This encounter took place in the men’s room across from his office. “You don’t want to go there,” he said. Another phone call to the Pentagon and I was on my way. As usual, he was right about my next career move. A few months after I arrived in San Antonio, he recruited the chief of the unit’s metabolic branch to Southwestern. As I was the ranking nephrologist there I got the now vacant job. He was a monthly visiting professor at BAMC so our regular interactions continued for another four years. I think he had four or five extra personas stashed away allowing him to be a monthly consultant at more than 100 institutions scattered around the Americas, Europe, and Asia. Recently, a colleague told Seldin that I had retired. His reaction was predictable. He told the colleague to relate to me that he was still working, seeing patients, writing papers, teaching students, chairing committees, in his office eight days a week, attending soirees in Venice, and bench pressing 300 pounds. And you know what, I believed it all. He’s the only great man I’ve ever personally known. Watch the video below and savor the Brooklyn accent along with a glimpse into the character of one of the most remarkable figures in American Medicine. The text of the interview is also presented below. It was produced by the Journal of Clinical Investigation as part of its series Conversations with giants in medicine. Why don’t you become his Boswell?, it seems that you may know him enough for this task.